You’ll love the huge variety of games including fan favorites like Pink Panther, Cleopatra’s Quest and Invasion from Outerspace. Plus, when you connect with Facebook you’ll be able to merge your web and mobile accounts for one BIG balance, send and receive free gifts, and keep track of your progress on the leaderboard! * 100% FREE to download and play! 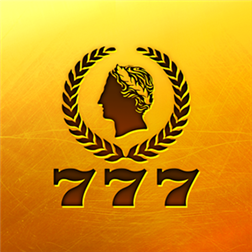 Get Caesars Slots NOW and rule the reels!